Survitec Group reports it has developed a new Crewsaver branded Rope Access lifejacket designed specifically for people operating at height in an offshore environment. The company says the product has a number of unique features built into its design to ensure it delivers exceptional performance even in the toughest offshore conditions. The company, which has many years experience in the oil and gas market, says it has worked closely with leading offshore operators during the product's development. 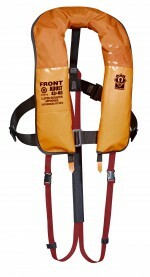 Tried and tested to work in conjunction with a fall arrest harness, the twin chamber jacket provides 275N of buoyancy and is SOLAS approved. A number of key features are reported to ensure the jacket is ideally suited to an offshore environment.